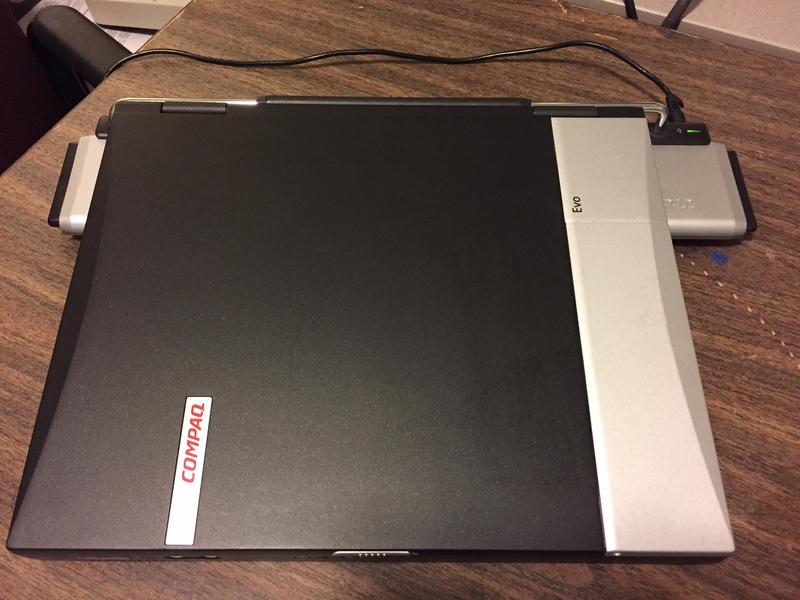 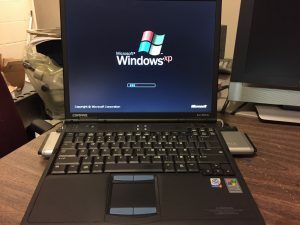 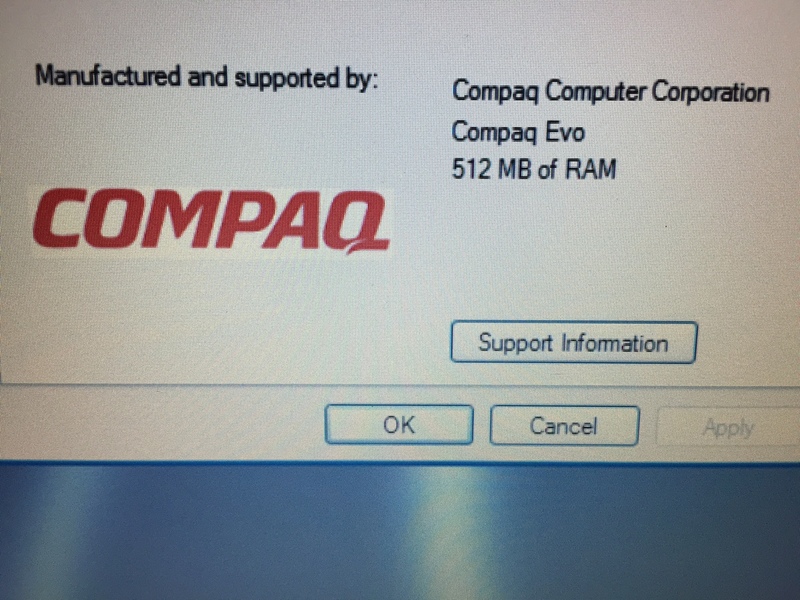 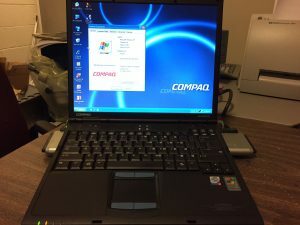 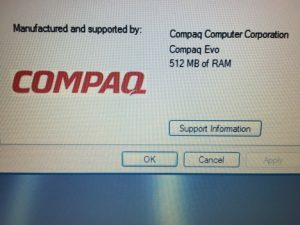 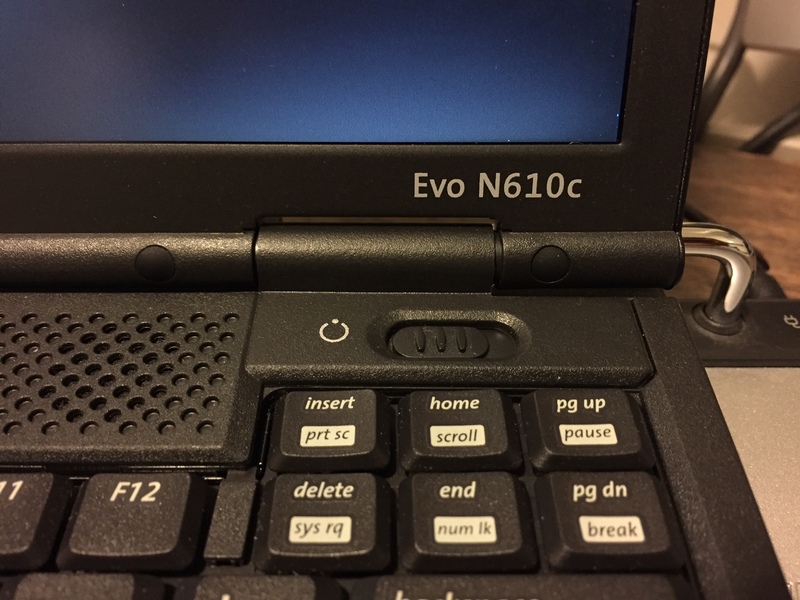 This is our mint condition Compaq EVO 610c notebook. The EVO line of business products was launched in 2001. 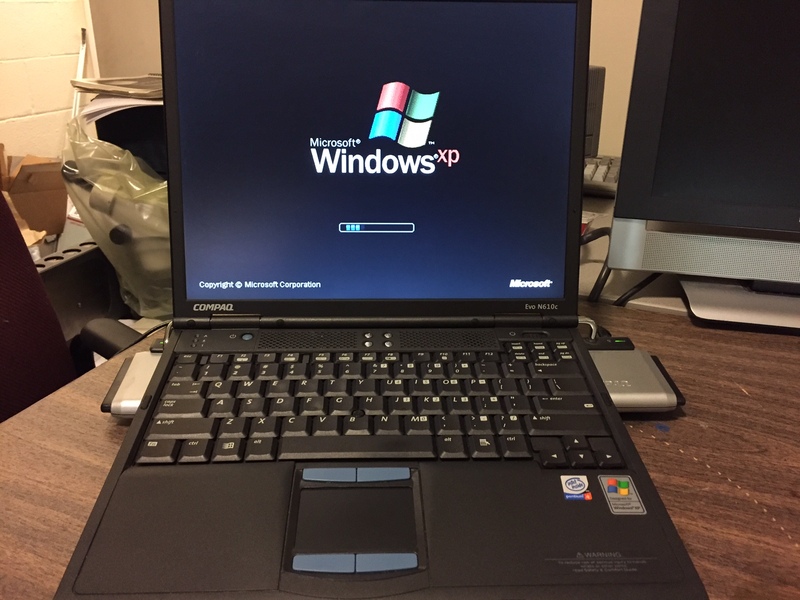 This machine includes a docking station, 512 MEG RAM and is fully functional running Windows XP.